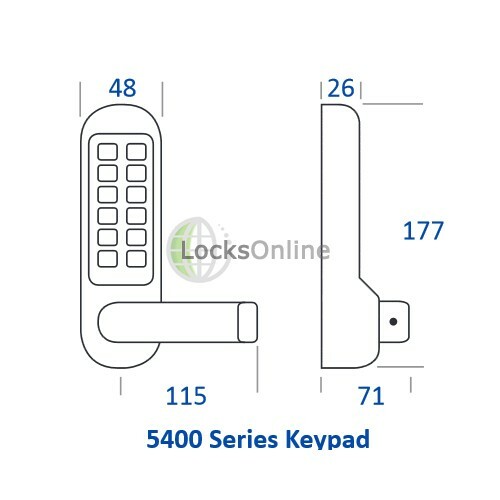 If you want to control access from both sides of the door to restrict access in or out, a back-to-back keypad lock like this may be just what you are in need of. 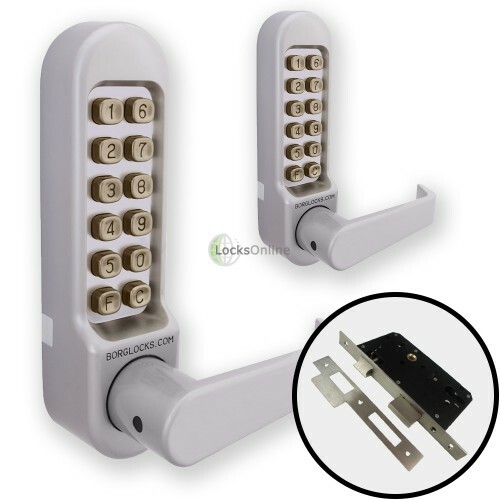 This combination code lock offers a combination keypad on both sides of the door, combined with a simple lever type handle to operate the lock in the door once a correct code has been entered. 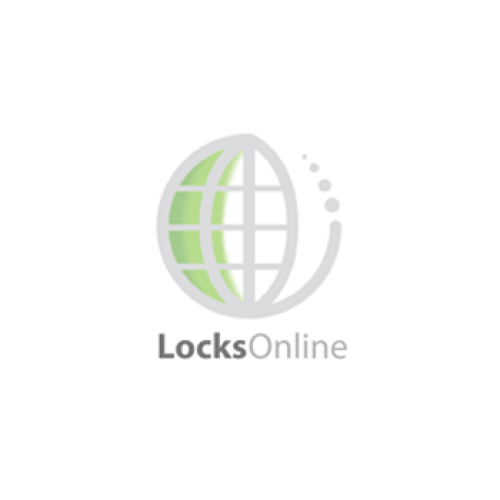 In the event that an invalid code is entered, the handles will not operate the lock at all. 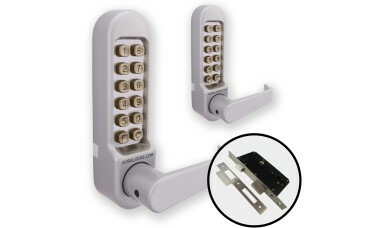 And in cases of attempted forcing of the handles, they are equipped with a clutch mechanism which will prevent damage to the lock too, which can happen on other devices over time even without forced attempts, purely by mistakenly pushing on the handle having innocently entered the wrong code. 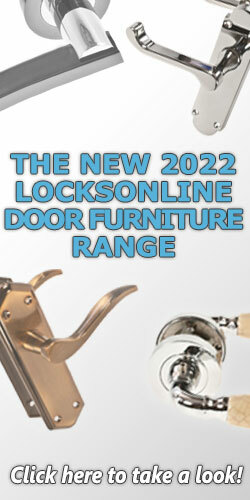 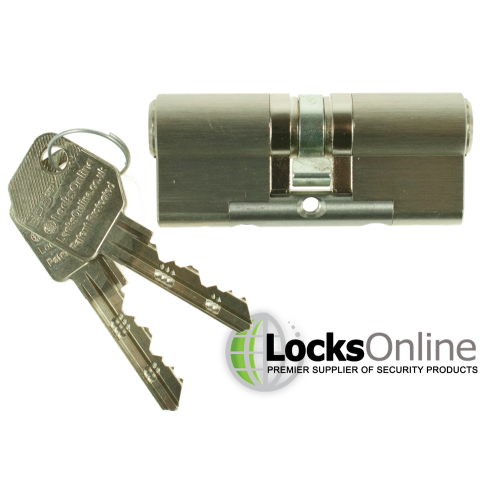 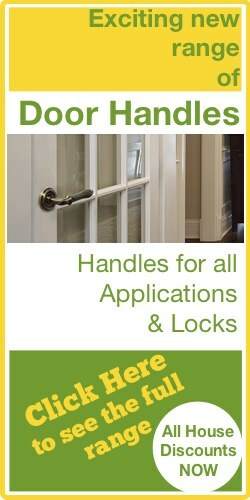 Supplied with this as part of the kit, is a euro lock case, designed to accept a euro profile cylinder of your choice. 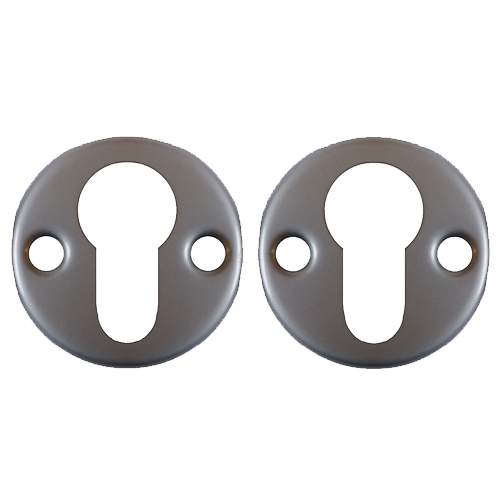 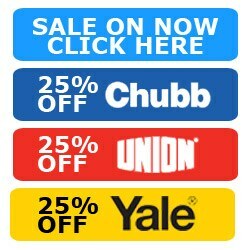 Due to the nature of this back-to-back style combination device however, it is only recommended that you use a double euro cylinder which offers key operation on both sides. 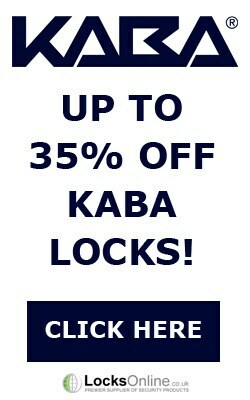 This will allow you to fully deadlock the door at any time, overriding the combination lock entirely until unlocked via the key again.